This model is the first in the latest range from this Polish builder of large luxury catamarans, which offers impressively spacious cutting edge yachts. Despite the relatively modest overall length, the Supreme 68 has an astonishing living space of 300 square metres. It therefore offers the comforts of a much larger superyacht within a vessel of less than 24m length, which has significant benefits in terms of the requirements for classification and regulation. 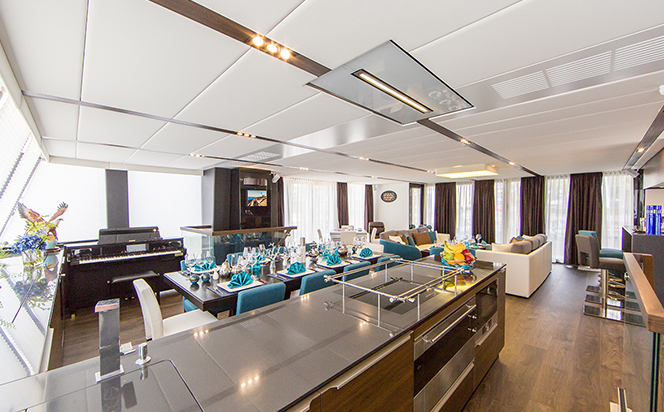 A key feature of the yacht is the enormous saloon that’s surrounded with floor to ceiling glass. 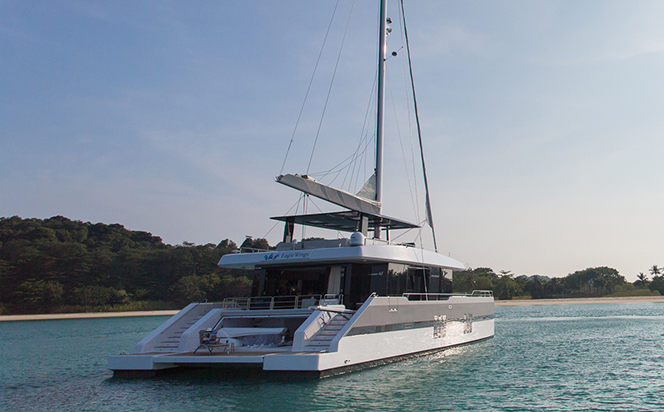 It opens on to the cockpit in a smooth and seamless fashion, providing direct access to the deck through sliding doors on both sides of the yacht. In effect exterior and interior areas blend into one enormous panoramic lounging and dining area. There’s also an impressively large aft garage with space for a five-metre tender, plus two jet-skis, diving gear and sails. 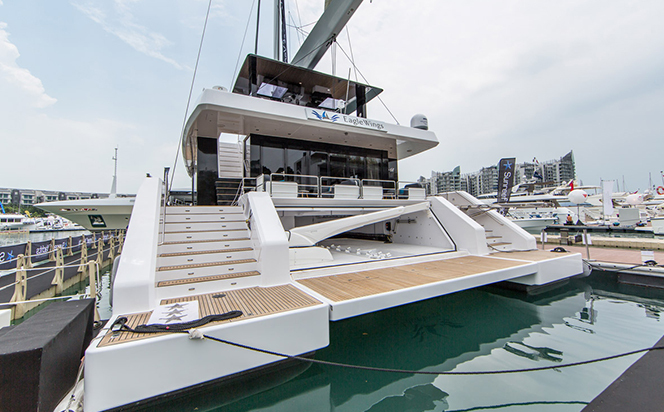 When lowered the garage door is level with the aft platforms of each hull, forming a large, flat sunbathing area with easy access to the water. This is one of a number of areas on the boat that offer a degree of privacy and seclusion for those who seek some quiet time on board. 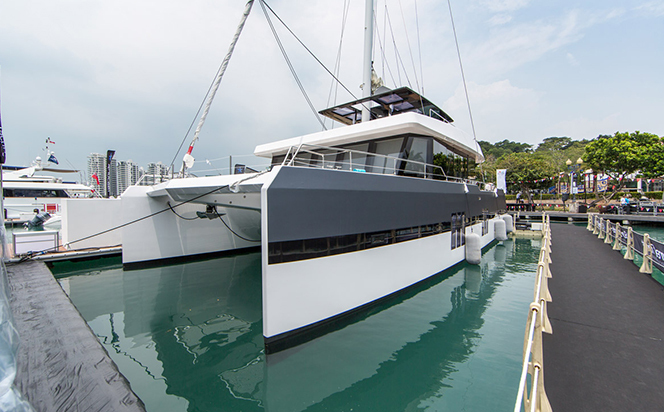 The first Sunreef Supreme 68 was delivered to her new owner at this year’s Singapore boat show, although the company has yet to publically unveil full details of the yachts, including the sail plan, flybridge arrangement, and owner/crew accommodation layouts within the two hulls. All models in the range are fully customised in terms of layouts and finishing and the next two boats are already under construction.